It’s July, and it seems to be a new tradition at Gazette665 to talk about the American War for Independence (aka the Revolutionary War) this month. Catch the other posts here! This year we’re excited to present: Farmers Against The King’s Men? Battles 1775-1781. We’ll explore some fast-fact details that you should know about four battles during the conflict. Don’t forget to follow Gazette665 on Facebook, Twitter, and Instagram to see extra photos, blog posts from the archives, links to other websites, and discussions focusing on the theme of the month! Now, without further commentary, let’s jump right into today’s battle – well, actually battles. It’s hard to discuss Lexington without talking about Concord too. Lexington, Massachusetts, was the site of the opening shots of the war while Concord and the retreat to Boston set some exciting precedence for the colonial militia. Here are five things you should know about the Battles of Lexington & Concord. 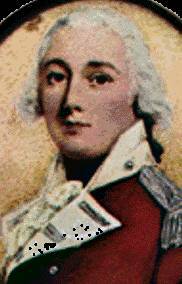 John Pitcairn was one of the British officers sent to Lexington and Concord. They were fought on the same day. April 19, 1775. Here’s what happened. 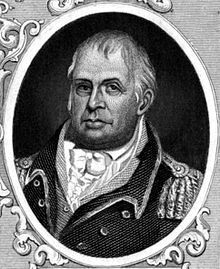 Four days earlier Thomas Gage, commander of the British troops occupying Boston received orders to disarm the Colonial militias. On the night of April 18th, British soldiers led by Francis Smith, John Pitcairn, and Hugh Percy left Boston, crossed the harbor in small boats and headed for the town of Concord were weapons were stored. Boston had had a long history of unrest and frustration with the British troop in town. (Remember the Intolerable Acts, Boston Tea Party, and closing of Boston Harbor?) Unhappy about taxation without representation and occupying soldiers in their region, the Massachusetts assembly, First Continental Congress, militia, and rebels weren’t keen on the idea of disbanding or giving up their weapons until the king and Parliament had addressed their complaints. The Battles of Lexington and Concord were years in the making, and the first shots of the war were fired on April 19, 1775. William E. Heath commanded units of Massachusetts militia in the final stages of the fighting on April 19, 1775. He later became an officer in the Continental Army. 2. Weapons & Leaders – Seize Both or Seize None? The British were supposed to seize the weapons and ammunition stored in Concord. It’s rather common knowledge that without weapons it’s hard to have an effective armed rebellion. The British had decided that if the Colonials didn’t have weapons there would be less chance of a serious conflict. So, Smith, Pitcairn, and Percy left Boston with orders to capture the muskets, powder, and a cannon or two that the militia had stashed in Concord in case of conflict. (They also had a weapons cache at Worchester, farther west.) The Colonials had been anticipating a British raid for a while and had a network in place to warn them when the expedition left Boston. Colonial leaders Samuel Adams and John Hancock – both Boston residents – had fled the city to avoid arrest; they were staying with some of Hancock’s extended family in Lexington. 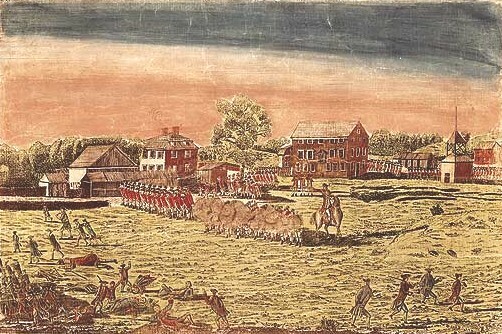 The British orders said to seize the weapons, but if they found Adams and Hancock, captured them, and took them back to Boston, that would also be a big victory for the Redcoats. Both men were famous to the Colonials and infamous to the British for their leadership in the Continental Congress. Thus – when Paul Revere, William Dawes, and other messengers galloped through the night, their mission was to rally the militia to protect/remove the weaponry and also to warm Adams and Hancock to get to a safer location. Let’s be clear about something. George Washington did not fight at Lexington and Concord. The American forces were not technically an “army.” Militia forces opposed the British troops. Farmers, shopkeepers, tavern owners, and others would assemble quickly when called, hopefully remembering the training and basic drills they’d practiced in the previous weeks. Militia typically fought using irregular tactics. Read on to the next section for details. 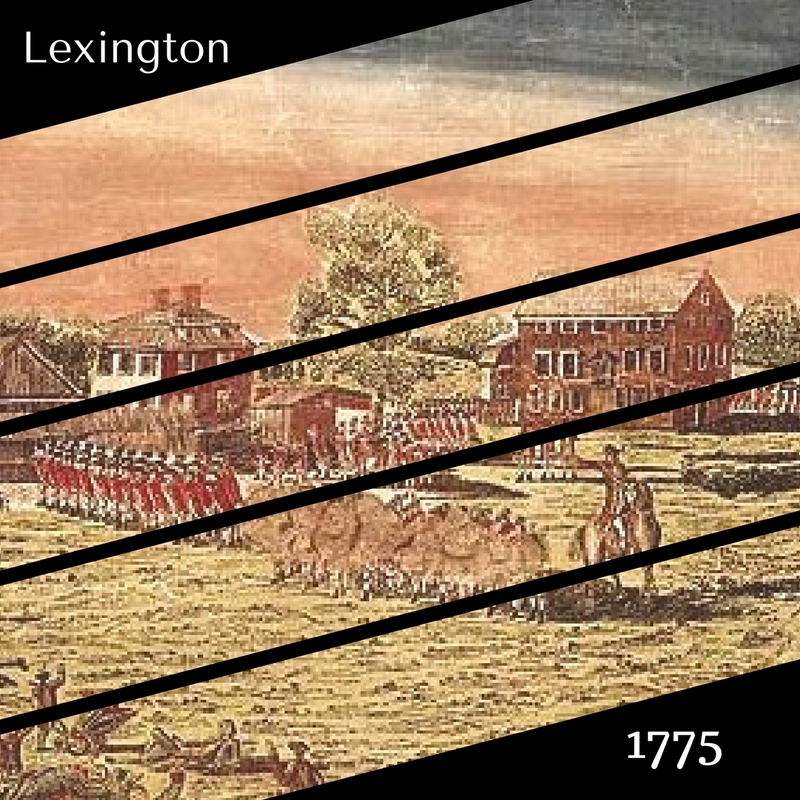 Lexington and Concord battles used varying tactics. The British stuck to the 18th Century textbook classics – marching in columns and firing in ranks. The Colonials used a mix of tactics, depending on the situation during the day. At Lexington, Captain John Parker and about seventy militiamen waited on the village green and met the approaching British troops. From the accounts, they stood in a line here – not hiding behind buildings and fences. 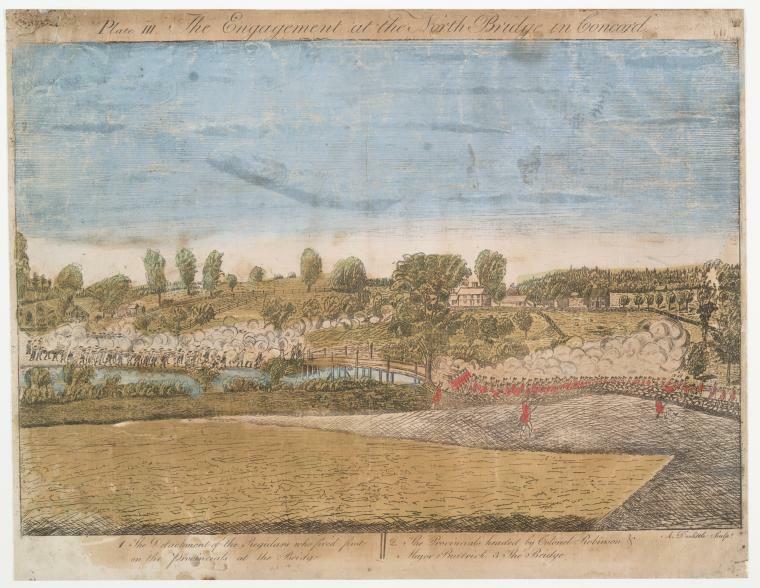 Similarly, at Concord, a group of militiamen waited at Concord bridge, and they exchanged fire in the open. However, the militiamen used hit n’ run tactics against the British column on the march, particularly as they retreated back toward Boston. Hiding behind low stonewalls, trees, and other cover, they fired at the column, then moved on to another safe vantage place. What was the ultimate outcome? A strategic American victory. The news of the fighting spread rapidly through the countryside, colonies, and eventually across the sea. Militia units rapidly gathered outside Boston, basically trapping the British in the city. Eventually, these units would be formally enlisted and organized as the Continental Army. At Lexington and Concord, farmers and townsmen chose to defend their right to have weapons for the defense of their own settlements and colony. The stand-offs turned into “battles” and then a running skirmish. Both Colonials and British couldn’t have foreseen the effects that their actions on April 19, 1775, would have on America and the world. The militia is so much a part of American history. We OWN the citizen-soldier concept. Thanks for this.